Poll: After Derek Jeter, who will be the next Yankee voted into the Hall of Fame? Mariano Rivera made history throughout his 19-year career and he made history again earlier this week, when he became the first ever unanimous selection to the National Baseball Hall of Fame. All 425 voters named him on their ballot. I didn’t think it would happen but it did, and it’s pretty awesome. Couldn’t pick a better player to be the first unanimous Hall of Famer. Mike Mussina, Rivera’s teammate with the Yankees for eight years, was also voted into the Hall of Fame earlier this week. Mussina has not yet decided whether he’ll wear a Yankees hat or an Orioles hat on his Hall of Fame plaque, though he did have more wins (147 to 123), more innings (2,009.2 to 1,553), more All-Star appearances (five to zero), and more WAR (+47.8 to +35.2) with the O’s. Going in as an Oriole seems appropriate. Derek Jeter joins the Hall of Fame ballot next year and, like Rivera, he is a slam dunk first ballot Hall of Famer. He might even be unanimous! That would be fun, Rivera and Jeter being the first two unanimous Hall of Famers. Either way, Jeter is getting into the Hall of Fame next year. There’s no doubt about it. After that though, it might be a while until another Yankee gets voted into Cooperstown. Bernie Williams and Jorge Posada have already dropped off the Hall of Fame ballot, having received less than the 5% needed to remain on the ballot another year. (Williams did spend two years on the ballot. Posada dropped off in year one.) Don Mattingly exhausted his 15 years on the ballot without being voted into the Hall of Fame. I suppose one of the eras committees could vote him in a la Harold Baines. We’ll see. We know Jeter will be the next Yankee voted into the Hall of Fame by the Baseball Writers Association of America. We don’t know who will be the next after that. Let’s go through the upcoming candidates, shall we? Here are the Yankees due to appear on the Hall of Fame ballot in the coming years. Jeter is the big name here. He’s the only slam dunk Hall of Famer joining the ball next year. Also joining the ballot are former Yankees Jason Giambi, Bobby Abreu, and Alfonso Soriano. Abreu has a stathead case for Cooperstown but, if he gets in, he’ll have a Phillies cap on his plaque. He played more games with the Phillies (1,353) than all other teams combined (1,072). Giambi played more games with the Athletics (1,036) than the Yankees (897), plus he won an MVP and finished second in the MVP voting while with the A’s. Also, there’s the performance-enhancing drug thing. Giambi gave that vague apology for letting people down without ever saying what he did, but we all know what he was talking about. So many Hall of Fame voters are dug in against PEDs that, even if Giambi’s case were stronger than it actually is, I still don’t think he’d get in. Soriano played more games with the Cubs (889) than the Yankees (626) but he had some of his best seasons in pinstripes. He led the league in hits (209) and homers (41) in 2002 and finished third in the Rookie of the Year voting and third in the MVP voting while with the Yankees. Soriano’s best season, his 40/40 season (46 homers and 41 steals) came with the Nationals in 2006. I don’t think Giambi has a chance at the Hall of Fame because of the PED stuff. Abreu and Soriano strike me as Hall of Very Good players rather than Hall of Famers, and hey, there’s nothing wrong with that. They had great careers and made tons of dough. Also, we’re looking for the next Yankee Hall of Famer here, and I don’t think Giambi, Abreu, or Soriano would have a Yankees hat on his Hall of Fame plaque even if they get in. They did more with other teams. The best player with a chance to go into the Hall of Fame as a Yankee next year other than Jeter is Andy Pettitte. Pettitte was on the ballot for the first time this year and he received only 9.9% of the vote. He’s much, much closer to falling off the ballot than he is getting the 75% needed for induction into Cooperstown. It took Mussina six years on the ballot to get into the Hall of Fame. I have to think it’ll take Pettitte at least that long, if not longer to gain induction. There are no slam dunk Hall of Famers set to join the ballot in 2021, Yankees or otherwise. The best players joining the ballot are probably Tim Hudson and Mark Buehrle. The best former Yankees set to join the ballot are A.J. Burnett and Nick Swisher. Next. Now we’re talking. Alex Rodriguez joins the ballot in three years and his career was very obviously worthy of the Hall of Fame. There’s no arguing with the raw numbers. A-Rod is one of the 10-15 best players in the game’s history and, if you take his career at face value, he should be a unanimous selection. You can’t take his career at face value though. Rodriguez admitted to using PEDs and served a year-long suspension for a separate PED transgression. 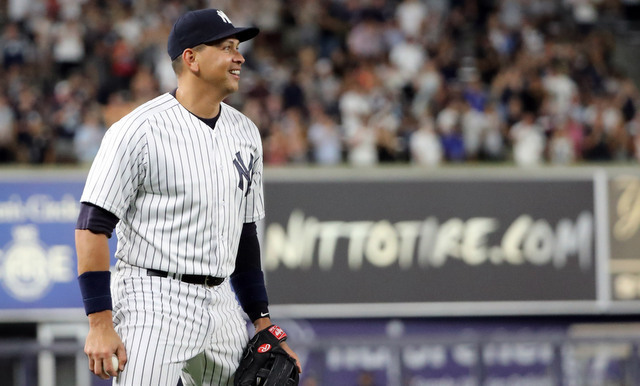 If Barry Bonds and Rogers Clemens do not get into the Hall of Fame, A-Rod has little hope of getting in. The voting body is skewing younger and thus more forgiving of PEDs, but so many voters are dug in on this subject and will not change their minds. Jeff Passan recently spoke to voters who do not vote for Bonds or Clemens and it’s clear where they stand. Bonds and Clemens have seen their support plateau in recent years. It would take a sea change in the Hall of Fame voting for them to get in before their eligibility expires in three years. In the unlikely event he does get voted into Cooperstown, it’s safe to assume A-Rod would go in as a Yankee. He played more games as a Yankee (1,509) than he did as a Mariner and Ranger combined (1,275), plus he won two MVPs in pinstripes and his World Series ring. More games, more homers (351 to 345), more hardware, more rings as a Yankee than everywhere else combined. Should he get in — assuming Rodriguez stays on the ballot all ten years, his final year of eligibility will be 2031, which is a looong ways away — A-Rod would go in as a Yankee. The other notable former Yankee joining the ballot in three years is Mark Teixeira. My hunch is that, if Fred McGriff was unable to get into the Hall of Fame, Teixeira won’t get in either. Teixeira did hit 409 homers and he led the league in homers and total bases once (39 and 344 in 2009, respectively), but that’s pretty much it. Teixeira did play more games as a Yankee (958) than as a Ranger, Brave, and Angel combined (904), so if he gets into the Hall of Fame, I think he’d go in as a Yankee. I’m just not sure he’s getting in. The only serious Hall of Fame candidate joining the ballot in four years is Carlos Beltran. I think he’ll get into Cooperstown. If not on the first ballot, than eventually. Beltran is an unlikely candidate to be the next Yankee in the Hall of Fame simply because he played the bulk of his career elsewhere. Only 341 of his 2,586 career games came in pinstripes, or 13.2%. I guess Beltran would go into the Hall of Fame as a Royal or Met? Either way, it won’t be as a Yankee, so Beltran’s not the answer to our question. Players who retired following last season will be eligible for Hall of Fame induction in 2024. That means Adrian Beltre, Joe Mauer, Chase Utley, and David Wright. They combined for zero (0) games as a Yankee. Matt Holliday and Curtis Granderson could also join the Hall of Fame ballot in five years if they fail to find work this winter. Holliday spent one kinda crummy year with the Yankees. He’d go in as a Rockie or Cardinal. Granderson had some of his best seasons in pinstripes but played more games with the Tigers (674) and Mets (573) than the Yankees (513). Love the Grandyman but I don’t see him as a serious Hall of Fame candidate. Ichiro Suzuki is a clear cut Hall of Famer and he’s going in as a Mariner, as he should. That leaves two active players who spend the bulk of their careers with the Yankees and deserve serious Hall of Fame consideration: Robinson Cano and CC Sabathia. 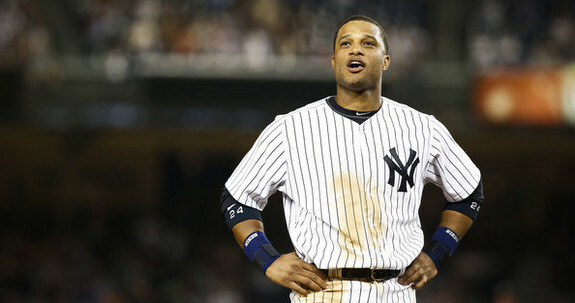 This offseason’s trade ensures Cano would go into Cooperstown as a Yankee. He’ll split the second half of his career between (at least) two teams, meaning he won’t be able to accomplish enough with the Mariners to change his legacy from Yankees great to Mariners great. Cano of course served a PED suspension last year, which likely ruins his chances at the Hall of Fame. Manny Ramirez has no-doubt Hall of Fame credentials, but, because he served two PED suspensions, he hasn’t topped 24% of the vote in his three years on the Hall of Fame ballot. Cano is closing in on 3,000 hits and Jeff Kent’s home run record for second basemen. Robbie’s the best second baseman of his generation. The suspension means he has a tough hill to climb. Assuming Cano finishes out the final five years on his contract, that means he’s ten years away from appearing on the Hall of Fame ballot and 20 years away from exhausting his ten years on the ballot. We could still be talking about Robbie being on the ballot as a potential Hall of Famer in 2038! That’s an awfully long way away, man. The voting body can and will change between now and then, and a PED suspension may not be as much of a dealbreaker then as it is now. We’ll see. Sabathia has more wins (129 to 117) and more starts (284 to 254) as a Yankee than he did as an Indian and Brewer combined, though he has slightly less WAR (+29.7 to +32.5). Also, Sabathia won his Cy Young in Cleveland and split 2008, his best individual season, between the Indians and Brewers. He won his World Series ring (and ALCS MVP) as a Yankee and has three top four finishes in the Cy Young voting in pinstripes. At some point this year he’ll record his 250th win and 3,000th strikeout, which is pretty cool. I believe Sabathia would have a Yankees hat on his Hall of Fame plaque. The real question is whether he gets into Cooperstown. Mussina was an objectively better pitcher and he had to wait six years on the ballot to get in. Pettitte was a notch below Sabathia but he has the whole legacy Yankee thing going for him, and he didn’t come close to induction this year. (Pettitte is an admitted human growth hormone user though.) Sabathia will retire after this season and that means he’ll hit the Hall of Fame ballot in 2025. If he gets into the Hall of Fame, it’ll probably take several years on the ballot a la Mussina (and Pettitte). Looking more long-term, Giancarlo Stanton is on a potential Hall of Fame track seeing how he’s at 300 homers and +40 WAR through his age 28 season. Five-hundred homers and +65 WAR is well within reach. Aroldis Chapman is like 60% of the way to Billy Wagner’s career at this point and Wagner hasn’t come close to induction yet, so Chapman has an uphill climb. Aaron Judge was a bit of a late-bloomer (he played his first MLB season at age 25), which puts him behind the Hall of Fame eight-ball. Gary Sanchez? Gleyber Torres? Miguel Andujar? Luis Severino? Great talents who are a long, long way from the Cooperstown combination. What about Dellin Betances? He is the best setup man of his generation (yup) and it’s possible that, by time he’s eligible to appear on the Hall of Fame ballot, the voters may have very different standards for relief pitchers. As long as Wagner stays so far away from induction — this was Wagner’s fourth year on the ballot and he’s yet to receive even 17% of the vote — I can’t see Betances as a serious Hall of Fame candidate. Gosh, it would be fun though, wouldn’t it? We know Jeter will be voted into the Hall of Fame next year. That is a certainty. The next Yankee to go into the Hall of Fame after Jeter is up in the air, largely because A-Rod and Cano have served PED suspensions, which significantly lowers their chances of winding up in Cooperstown. Since we’re here, we might as well turn this into a poll, so let’s get to it. Who will be the next Yankee voted into the Hall of Fame after Jeter? Individual game tickets for the 2015 regular season go on sale online on Tuesday, February 24th at 10am ET, the Yankees announced. The Mastercard pre-sale runs from February 18th through the 23rd. You can walk up to the ticket window to purchase tickets starting February 25th. All the details are right here. According to Jon Morosi, MLB and MLBPA are making progress towards rule modifications to speed up the pace of play, and they should have an agreement in place before Spring Training. Teams and players are going to want any changes in place relatively soon so they have all spring to adjust. It’s unlikely a pitch clock will be added or hitters will be forced to keep at least one foot in the box, says Morosi. It’s more likely both sides will be required to begin play as soon as the television broadcast returns from commercial breaks. That’ll shave, what, a minute or two off each game? It’s something. MLB and MLBPA are expected to continue to look into speeding up games going forward. This stuff is easy to forget about, but the Yankees had several outstanding “player to be named or cash” trades to finalize this offseason. Specifically, they owed a player or cash to the Diamondbacks for Martin Prado, the Athletics for Jeff Francis, and the Indians for Josh Outman. Chad Jennings confirmed all of those trades were settled with cash this offseason, not a player. So there you have it. Over at the indispensable Baseball Savant, Daren Willman posted travel maps for all 30 clubs for the upcoming 2015 season. The Yankees are set to travel 29,137 miles this summer, which is exactly middle of the road — 15th most out of the 30 teams. That is up slightly from 28,001 miles last year. The isolated Mariners will again travel the most miles this year (43,281) while the Reds will travel the fewest (20,612). Usually a more centrally located team like the Royals or Cardinals travels the fewest miles. Lucky for the Reds, I guess. A preliminary hearing for Anthony Morales, the man who allegedly attacked RHP Ty Hensley over the holidays, has been set for May according to Brendan Kuty. Morales has been charged with felony aggravated assault and battery after attacking Hensley following an argument about signing bonuses. Hensley reportedly wouldn’t tell Morales, an ex-college football player who was in training camp with the Carolina Panthers last year, the size of his signing bonus, which is easily Googleable. Hensley suffered multiple facial fractures and lost a tooth in the attack but did not suffer a concussion or other neurological damage. He has resumed throwing bullpens even though his jaw had to be wired shut. So there’s a very subtle little jab at the Yankees there. Remember, at the end of last season, Ichiro cryptically told reporters that “obviously there’s a lot of things that go on that the fans and the media can’t see, that goes on inside (the clubhouse), but what I can say is that the experiences I had this year, those experiences are going to help me in the future.” Eh, whatever. Seems like Ichiro holds a bit of a grudge against the Yankees for whatever reason — dropping him into a fourth outfielder role last year? — but that’s in the past now. Onwards and upwards. Now that the World Series is over, Alex Rodriguez has officially been reinstated off the restricted list by MLB and the Yankees. He was originally suspended 211 games for his ties to Biogenesis, but it was reduced to 162 games during an appeal. A-Rod would not have been eligible to play in the postseason had the Yankees qualified. He now counts against the team’s 40-man roster. In other news, a total of 121 players became free agents at 9am ET this morning. Here’s the full list. Ten of those 121 players are Yankees: Chris Capuano, Stephen Drew, Chase Headley, Rich Hill, Derek Jeter, Hiroki Kuroda, Brandon McCarthy, David Robertson, Ichiro Suzuki, and Chris Young. No surprises there at all. Martin Prado, CC Sabathia, Ivan Nova, and Slade Heathcott all have to be activated off the 60-day DL if they haven’t been already. So, after all of that, the Yankees have 35 players on their 40-man roster. Yesterday afternoon, we looked at the mess that was the Yankees’ infield defense this past season. It wasn’t a mess all year, just most of the year. Things got substantially better once Chase Headley, Stephen Drew, and Martin Prado were acquired at the trade deadline. By then it was too late though. The damage had already been done the first four months of the season. The outfield defense is another matter. The Yankees built a strong defensive outfield by pairing Jacoby Ellsbury with Brett Gardner, two of the best outfield glovemen in baseball. The generally immobile Carlos Beltran was slated for right field but the plan was to replace him with the still solid Ichiro Suzuki in the late innings, so the damage would be minimized. Ellsbury and Gardner were going to be the stars of the outfield show. Because of injuries and ineffectiveness and all that, the Yankees had three players (Beltran, Ichiro, Alfonso Soriano) start at least 20 games in right field in 2014. Gardner was the only player to start 20+ games in left field (Chris Young started 16) and Gardner and Ellsbury were the only players to start 20+ games in center — Gardner started exactly 20 and Ellsbury started 138. Gardner and Ellsbury started in the outfield together in 120 of the team’s 162 games. Overall, the Yankees’ outfield ranked 20th in baseball at -11 DRS and 18th with -7.1 UZR, which doesn’t pass the sniff test. Ellsbury was hit with -5 DRS and +0.5 UZR this year — one-year sample, yadda yadda yadda — continuing a recent trend of Yankees’ center fielders grading out poorly while playing alongside Gardner. It happened with Curtis Granderson a few years ago as well. I don’t buy Ellsbury being an average defender (per UZR) and certainly not a below-average one (per DRS). He was excellent. Right? I’m not the crazy one. DRS and UZR are. One of these days commoners like me will be able to put together defensive heat maps that compare players — or entire outfield units — to the league average defensively. Something like this. Alas. Anyway, those big blobs of green and spots of red doesn’t really tell us much. They look kinda cool if you know what you’re looking at, but that’s about it. Here are some more straight forward numbers on balls hit to the outfield. This table includes routine pop-ups, scalded line drive, and regular ol’ fly balls. If it made it to the outfield in the air, it’s included here. More balls fall in for hits in right and left field than center because those are the pull fields — hitters tend to hit for the most authority when they pull the ball, not when they go back up the middle. More batters are right-handed — there were 1.27 plate appearances by a righty for every one plate appearance by a lefty in 2014, including switch hitters — and that’s why hitters around the league had a higher BABIP to left field than right. Make sense? Good. Ellsbury ran down almost everything so it makes sense the Yankees had the second lowest BABIP on balls hit to center in baseball this year. Only the Desmond Jennings-led Rays were better (.3159). Beltran and Soriano and almost everyone else they ran out there in right field stunk defensively this summer, so it’s no surprise the team had the third highest BABIP on balls hit to right. Left field is where it gets a little weird, because the Yankees are only middle of the pack there in terms of BABIP even though Gardner manned the position. We’re used to Gardner being a top notch defender. One of the best in baseball. The numbers have said so for years and our eyes agreed. That wasn’t so much the case this year though. Gardner was good, don’t get me wrong, but he wasn’t as good as he has been the last few years. There were a few more balls hit over his head in particular, and the spray chart above reflects that. Maybe it was just an adjustment period as Gardner moved back to left field after playing center last year. Maybe he’s just slipping in the field. Maybe he’s mad at the team for signing Ellsbury and displacing him. Who knows? Whatever it was, Gardner’s glove wasn’t as good as we’re used to seeing. Gardner was more or less league average at holding and throwing out runners this year. Left field isn’t a big throwing position anyway. The only real throws are to home plate, not the other bases. Ichiro has a strong arm in right but he takes for-frickin-ever to get rid of the ball, limiting its effectiveness. He was still roughly a league average-ish thrower while the team’s other right fielders were below-average. Blame Beltran and Soriano, mostly. Ellsbury threw out two other runners on bases this year — he doubled Nelson Cruz off first when Cruz forgot how many outs there were, and he threw Dustin Pedroia out trying to stretch a single into a double. Saying Ellsbury’s arm is not strong would be an understatement. It’s one of the weakest outfield arms in baseball. He compensates for it by getting to the ball quickly and with a quick release, sorta like Hideki Matsui back in the day. Throwing is clearly Ellsbury’s biggest weakness as a player. That’s life. The Yankees received three different levels of defense in the three outfield spots this year. They got good defense in left field, the bigger of the two corners in Yankee Stadium. They received excellent defense in center, and right field was pretty terrible despite the cozy dimensions in the Bronx. Throwing was an issue in all three spots though it was hardly a disaster. The outfield was clearly the strength of the team’s defense this year, and fly ball pitchers like Michael Pineda, David Phelps, Chris Capuano, and Vidal Nuno benefited the most. Last offseason, the Yankees sought to improve their offense by signing big name free agents, and that led to both Jacoby Ellsbury and Carlos Beltran wearing pinstripes. With Brett Gardner earmarked for left field and Alfonso Soriano in tow, Ichiro Suzuki was suddenly a man without a job. Not a full-time job anyway. Ichiro had been relegated to a fifth outfielder’s role before pitchers and catchers even reported to Spring Training. He was going to be a pinch-runner and defensive replacement specialist. That’s pretty much it. To his credit, Ichiro didn’t complain about being forced into a low-profile role when Spring Training rolled around, at least not publicly. After the Yankees unsuccessfully tried to trade him — they offered to eat $4.5M of his $6.5M salary to send him to the Astros — Ichiro started three of the first six games of the season because Ellsbury’s calf was barking, and he went 6-for-13 (.462) in those three starts. He appeared in 32 of the team’s next 40 games, but 20 of those appearances came as a late-inning defensive replacement. Three other appearances came as a pinch-runner. Suzuki batted only 69 times in the first 46 games of the season and he was damn good: .369/.406/.431 (139 wRC+). He had settled into his new role wonderfully. It was very reminiscent of the 1996-2000 Yankees, who had former greats like Tim Raines and Wade Boggs excelling in reduced roles because they accepted them. They weren’t jonesin’ for more playing time. In late-May, the bone spur in Beltran’s elbow flared up and Soriano’s season-long slump started to become untenable. Ichiro’s playing time soon went up and his production went down as a result. Beginning with May 23rd, he started 45 of the team’s next 56 games and hit .236/.294/.279 (60 wRC+) during that time. That’s more or less what you’d expect considering he .262/.297/.342 (71 wRC+) as a full-time player last season and was now a year older. The Yankees put an end to the “Ichiro as an everyday player” experiment at the trade deadline by acquiring Martin Prado with the intention of playing him in right field. Of course, that never really happened. Prado wound up spending a bunch of time at second base because Stephen Drew was so bad, so Ichiro played right field whenever Beltran’s elbow prevented him from throwing, which was basically all the time. Even after the Prado trade, Ichiro still started 34 of the team’s final 54 games, including 19 starts in 26 September games. He actually hit quite well during that time, putting up a .312/.331/.384 (99 wRC+) batting line in 130 plate appearances. Suzuki finished the season with a .284/.324/.340 (86 wRC+) batting line and one homer in 385 plate appearances. His strikeout rate was a career-high by far at 17.7%. His previous career high was 11.7% in 2010. Because of Beltran’s elbow and Soriano’s general awfulness, Ichiro started 94 games this past season despite opening the year as the fifth outfielder. He seemed to play better — both coming off the bench and in spot starts — in that role. Once he started playing everyday, it got a little ugly. Ichiro’s defense has slipped over the years — he’s still solidly above-average, no doubt — and it was even more noticeable in 2014. The guy turned 41 yesterday. What do you expect? Ichiro told reporters after the season that he wants to continue playing, presumably because he wants to get 3,000 hits in MLB (he’s 156 away). He also cryptically referred to some clubhouse issues after Game 162 — “Obviously there’s a lot of things that go on that the fans and the media can’t see, that goes on inside (the clubhouse), but what I can say is that the experiences I had this year, those experiences are going to help me in the future,” he said to Brendan Kuty — though it’s unclear if he was referring to a widespread problem or his own unhappiness. In all likelihood, the Yankees and Ichiro will go their separate ways this offseason. He’ll look for more playing time and the team has cheaper fifth outfielder options in Eury Perez and Ramon Flores, among others. Ichiro was pretty awesome in the second half of 2012 and again as a part-time player in 2014, but everything in between was not so good. Needing him to play so much this past season definitely contributed to the Yankees missing the postseason for the second straight year. Following yesterday’s season finale, Ichiro Suzuki told Dan Barbarisi he feels great and strongly indicated he will continue playing. “Obviously there’s a lot of things that go on that the fans and the media can’t see, that goes on inside (the club), but what I can say is that the experiences I had this year, those experiences are going to help me in the future,” he said cryptically to Brendan Kuty when asked if he’d be open to returning to the Yankees. Ichiro, who will turn 41 next month, hit .284/.324/.340 (86 wRC+) with 15 steals in 385 plate appearances this year. He seemed to be at his best in a limited fourth outfielder role. His production slipped once he was pressed into everyday duty. The Yankees will need a fourth outfielder next season like every other team, and the recently claimed Eury Perez offers a similar speed and defense skillset. It’s unclear if they’re open to bringing Ichiro back or if he even wants to be back at this point. He’s 156 hits shy of 3,000 and will probably need to play two more years to get there. Via George King: The Yankees have placed Ichiro Suzuki and Brendan Ryan on trade waivers. The report is from Thursday, so both waiver periods likely expired already. Brett Gardner, Stephen Drew, and Martin Prado have already cleared trade waivers. As a reminder, trade waivers are completely revocable and the players can be pulled back if claimed. Friday’s mailbag had a trade waiver primer. Teams put just about all of their players on trade waivers in August and it does not necessarily mean they are trying to trade them. Ichiro has value as a fourth outfielder and I don’t see him going anywhere at all, though I wonder if the Yankees would look to unload Ryan and the two years left on his contract (well, one year plus a player option) like they did Matt Thornton last week. Middle infielders are hard to find though, especially good fielding ones, so probably not.